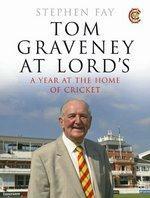 Tom Graveney is a former test cricketer from England. He had a long International career from 1951 to 1969. But he still played less number of matches as he only become the regular member of the England Team in late 50s and early 60s. Apart from this Graveney has scored a plenty of runs in first-class cricket playing for Gloucestershire and Worcestershire. Graveney was a right-hand batsman who had a very calm approach of batting. Graveney playing in his first season in 1948 made 973 runs in 24 Matches with one century. He improved his record in next two seasons by scoring 1784 and 1892 runs in 1949 and 1950 respectively. He also scored seven centuries during this period including a double hundred and 197 against Nottinghamshire. 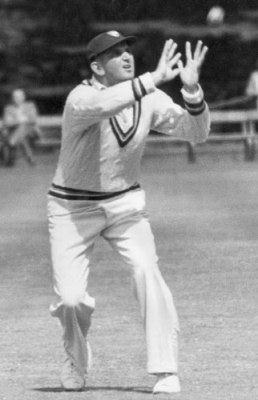 Graveney made his Test debut in 1951 against South Africa at Old Trafford. He made 15 runs in the only innings of the match. In his next match he made a brilliant 175 against India at Brabourne Stadium (Bombay). He scored 363 runs in four matches in that series with a good average of 60.50. But when India toured England, he made only 191 runs in four tests. He then toured Australia in 1953, but failed to perform on that series. Graveney has scored only two centuries in his first 34 Tests. Tom Graveney was 358th Test player from England. He was the first batsman to score more 100 first-class hundreds after Second World War. Graveney has scored 47793runs in first-class cricket, ninth in the list of most number of first-class runs by a player. Graveney has scored 122 first-class hundreds. He is 13th in the list of most number of first-class hundreds by a player. Graveney has played 732 first-class game, 16th in the list of most number of first-class matches played by a player.